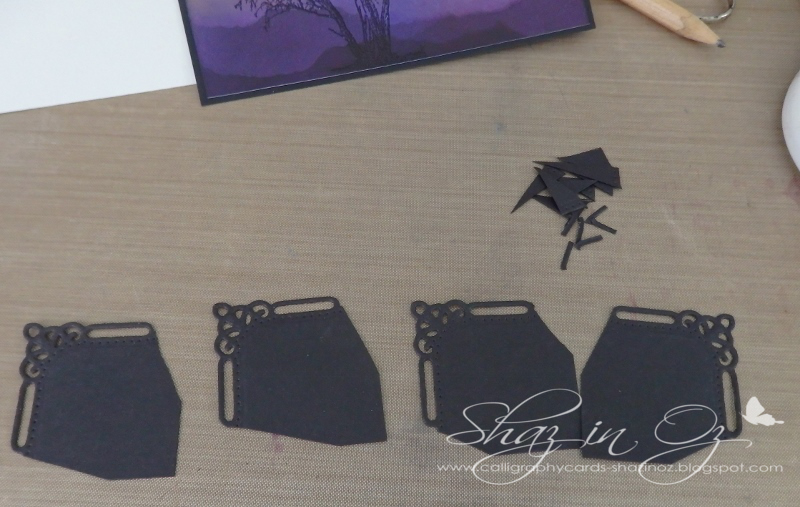 Hi everyone - Shaz here! 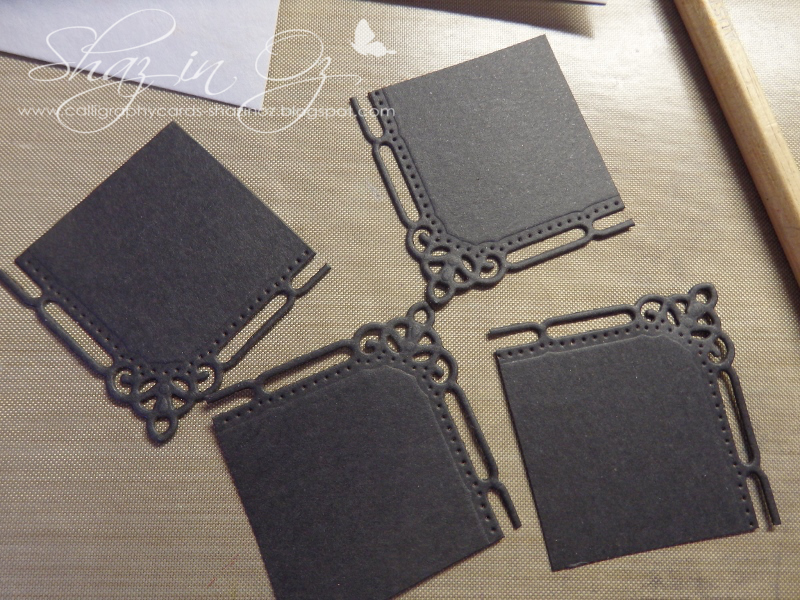 Another mid month post with a tutorial + *brayered male card. Always build up a light base layer for any good blending of any inks, in any medium - then add the depth of colour once the first layer has dried. 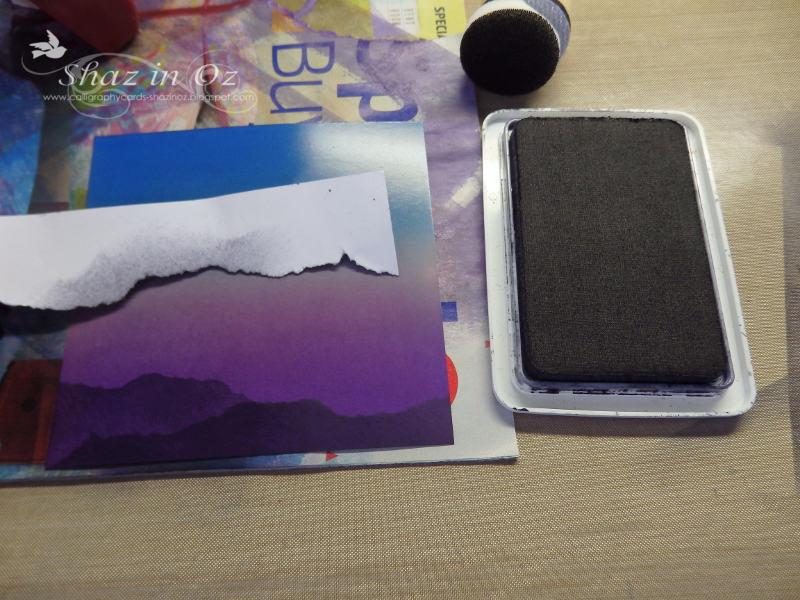 The base colour helps smooth out all other layers. I always brayer on smooth "junk" mail - the soft smooth surface helps in blending. 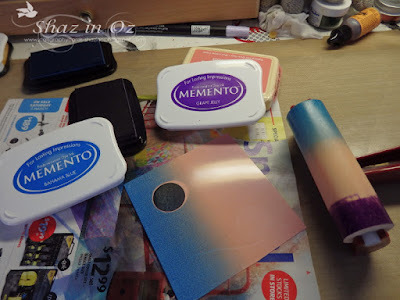 Used good glossy cardstock, *brayer + dye inks: *Memento Bahama Blue, *Grape seed + Adirondack Peach Bellini, dont have that colour in Memento. 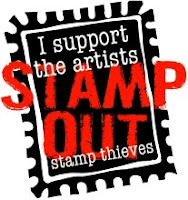 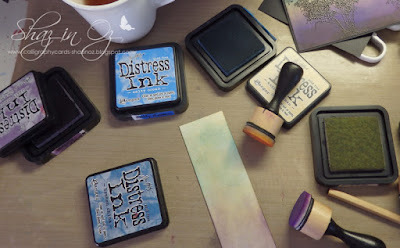 Click here for blog post + video with Brayer basics - this is a good place to begin. 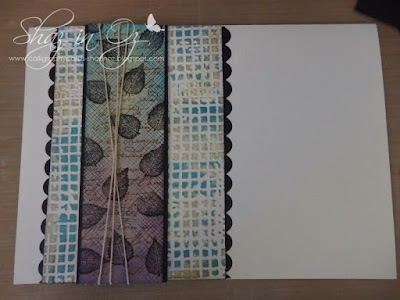 *Bec has or can source these items. *Ranger Mini blending tool, and *Ranger Archival Black ink. 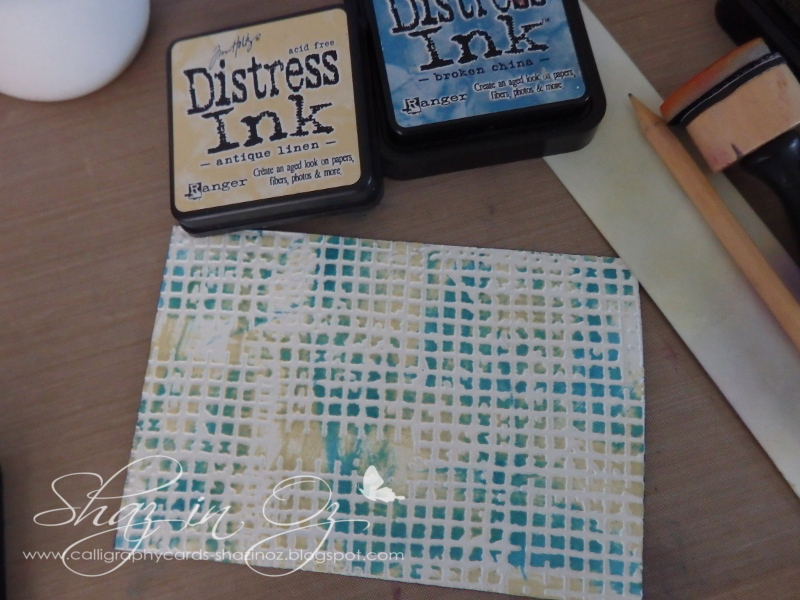 Embossed a cream piece of card with *Sizzix Dot Matrix folder, added *Salty ocean + *Antique linen mixed randomly rubbing over the embossing. 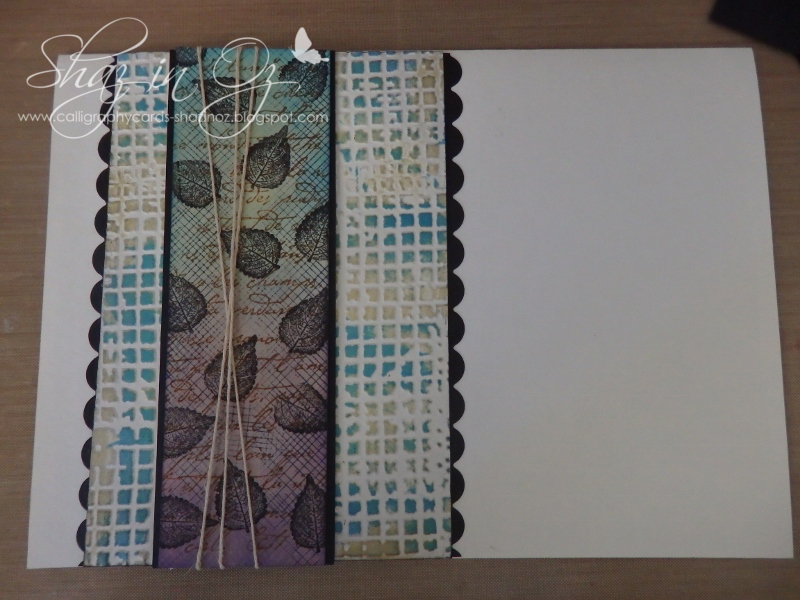 All side layers together, added bit of twine to overlap them. *Spellbinders Marvellous Squares die (link here) cut in black snippet. Cut into four, trim down as shown to make great corners. 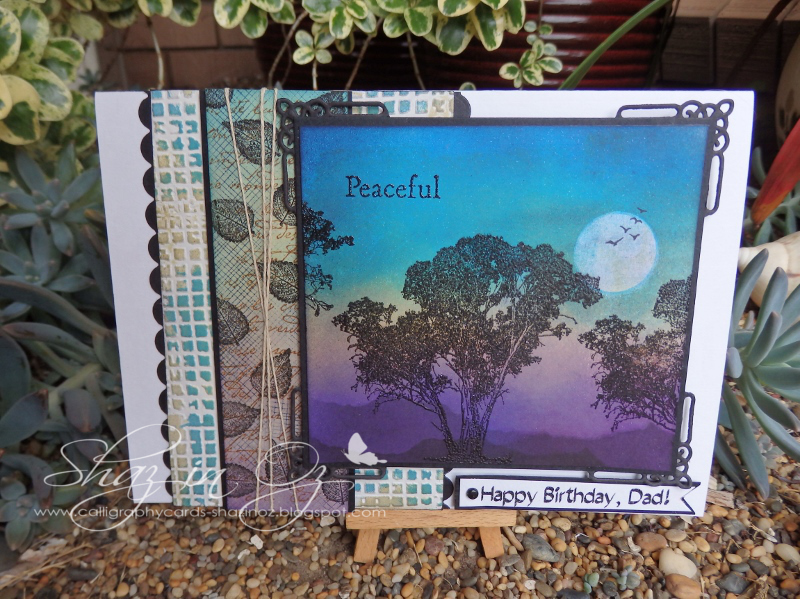 *Darkroom Door – Gum Trees set, mounted on black card, then added corners underneath. 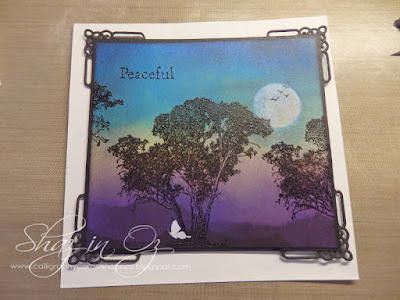 Image is stamped in *Versafine Onyx Black, clear embossing powder + heat set. 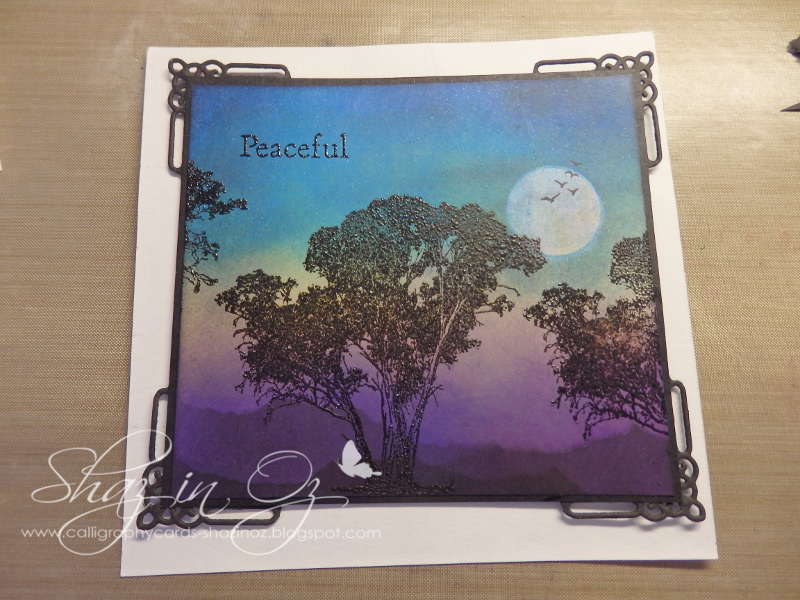 The "Peaceful" word stamp is part of the *Gum Trees set. *Bec has or can source these items. 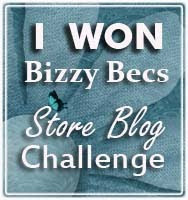 Thanks so much everyone for popping over and saying hi! ...and dont forget to join in Bec's Anything Goes April challenge ..
PS for another great post with male card, check out DT Jackie's brilliant male card with Darkroom door stamps - blog link here!